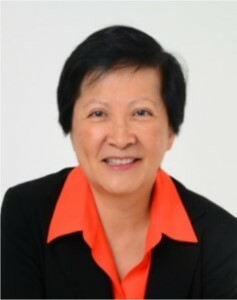 Before her position at Rosetta Stone, Helena was the Global President for Oregon Scientific, a Chinese consumer electronic company, based in Hong Kong, where she led the transformation of the innovation process to be more consumer-centric and the development of a new and more competitive product pipeline, including entry into the new health and wellness category. 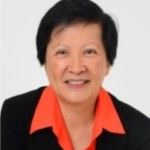 At Esselte, a PE owned global office supply company, she was President of Asia Pacific and Global Chief Marketing Officer, leading major transformations in innovation and new product development. Helena consolidated 40 local brands worldwide into five major global brands totaling $1.2 billion within the Corporation’s portfolio. Helena was also general manager and CMO with Western Union Financial services where she led the global brand expansion and a 10-fold increase in revenues in five years, from just $150 million to over $ 1.3 billion. She co-led a long term strategic plan identifying trends with a 10-year scenario planning that set new directions for the company. She was previously Director of Business Development for Pepsi-Cola International; and worked nine years for Procter & Gamble in different brand management leadership positions in the USA, Asia and Brazil. Helena taught at the Pratt Institute’s Master of Design Management and was an Adjunct Professor at Hong Kong University of Science and Technology. She earned her M.B.A. at The Wharton Business School of the University of Pennsylvania, and graduated from the Sao Paulo Business School of the Getulio Vargas Foundation, in Brazil.